The Assistant to the Secretary for Rural Development (USDA(RD)) is a high-ranking official in the United States Department of Agriculture and the principal advisor to the United States Secretary of Agriculture responsible for oversight of the department’s rural development programs and policies. 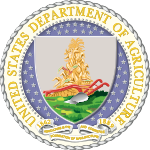 The Assistant to the Secretary for Rural Development, as head of the Office of Rural Development, provides assistance to the Nation’s rural communities. In particular, this assistance comes in three areas: business, utilities, and housing. The Assistant to the Secretary for Rural Development oversees loans, grants, and technical assistance to rural residents, communities, and businesses.